This upmarket property provides world-class facilities in a stunning beachfront setting, with family-friendly services and a separate adults-only club. 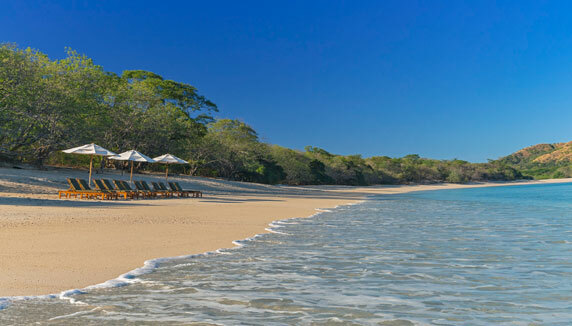 Playa Conchal Beach in the northeast of Guanacaste Province. Westin Golf Resort and Spa is open year round. A superbly equipped all-inclusive resort hotel set on the lovely beach of Playa Conchal, in grounds of 2,400 acres including verdant forest. With a choice of suites, pools, restaurant and sports, as well as beach access, a championship golf course, gym and spa, the hotel has something for everyone. 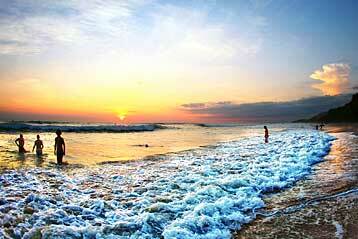 There are special services for families and children, and the separate adults-only Royal Beach Club. As well as the resort facilities, as a guest you have access to a range of excursions, allowing you to explore nearby national parks, though you may find the lure of the hotel’s facilities too strong to resist. And who could blame you? 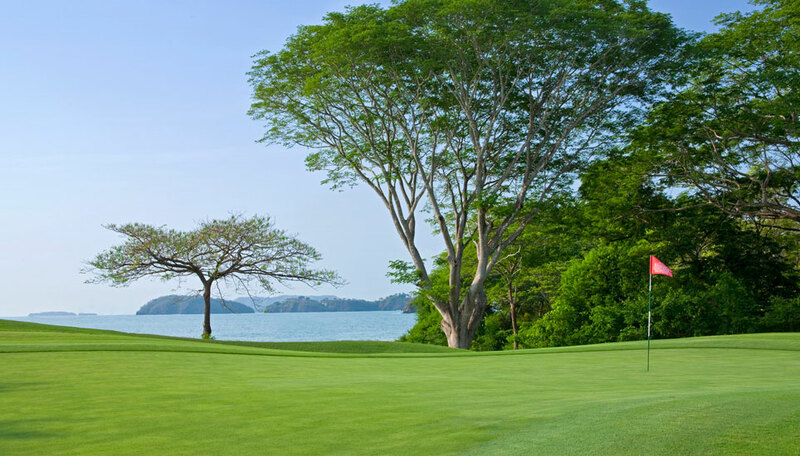 Why go to Westin Golf Resort and Spa? 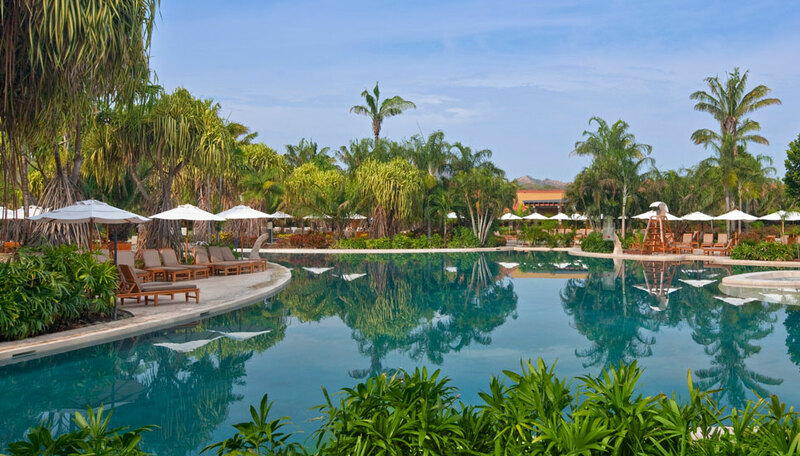 Whether you want to relax by the pool or on the beach, play a round of golf or game of tennis, share a special family hotel or enjoy the quiet ambience of an adults-only club, Westin Golf Resort and Spa is for you. There is so much to do here, from sports to spa treatments, kayaking to karaoke, gym workouts to fine dining, that the time will fly by. With dedicated clubs including exclusive accommodation and lounges for families and for adults-only, everyone can enjoy their preferred holiday experience. 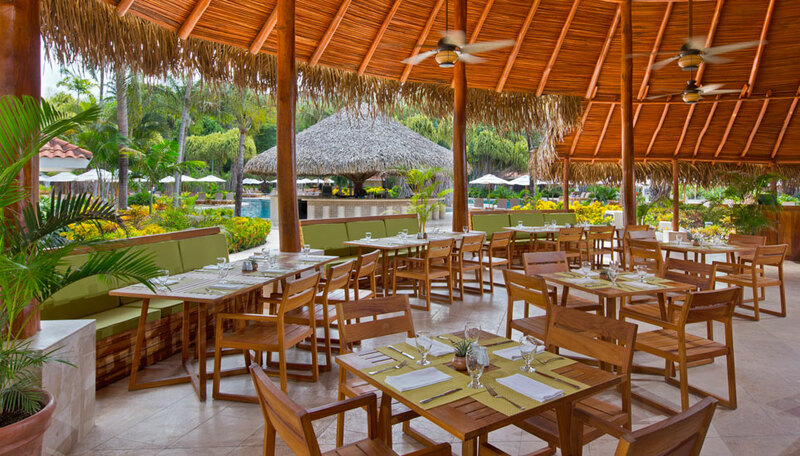 The Westin has the added benefit of being an all-inclusive resort, meaning that meals, drinks, 24 hour room service and entertainment options are available at no extra charge, which should certainly help you relax! The hotel gardens are full of trees where you can see and hear monkeys and birds, and spot squirrels and lizards. Palo Verde National Park is within easy reach and is known for its varied bird life attracted by the lakes, lagoons, marshland and mangrove swamps, and the relative lack of vegetation means that wildlife is easy to spot. Waterbirds seen here include egrets, ibis, storks, spoonbills, herons, ducks and geese, and there are good chances of seeing hummingbirds, flycatchers, collared aracaris, toucans and macaws. Mammals found in the national park include coatis, agoutis, armadillos, deer and monkeys. Accommodation, meals at most restaurants, selected drinks, nightly organised entertainment, non-motorised watersports, use of tennis courts during the day, high speed internet access, kids club and 24 hour room service. There are 7 types of suites, all with air conditioning, ceiling fan, living area with sofa bed, TV, iPod dock, free internet access, coffee maker, minibar, safe, hairdryer, iron and ironing board, private balcony or terrace. All sleep up to 4 people. 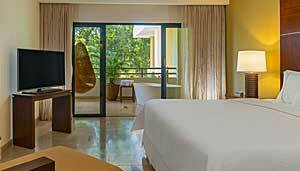 Deluxe junior suites, deluxe junior suites with golf view and family junior suites are 50sqm. Premium junior suites are 65sqm. Luxury villa suites cover 108sqm and have separate sitting and dining rooms and a Jacuzzi. 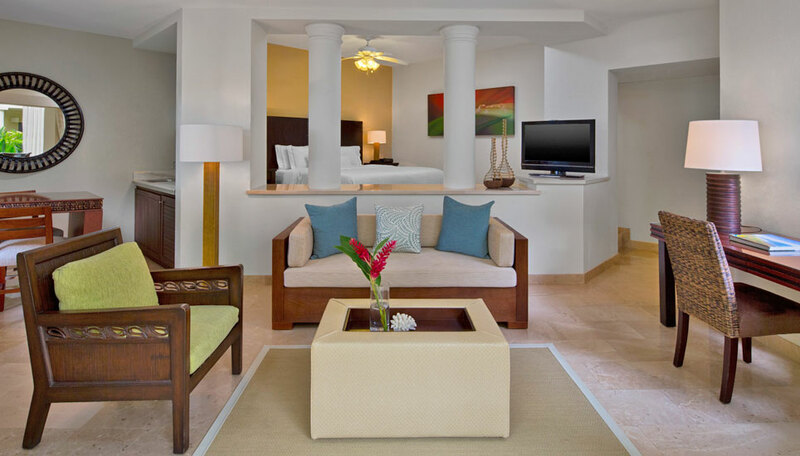 Some of the luxury villa suites interconnect with family junior suites. The Royal Beach Club, open to people 18 years and over, has rooms of 44sqm and suites of 92sqm. They come with the services of a concierge. Guests here have exclusive use of the Royal Beach Club lounge where breakfast and lunch are served, tea and coffee, newspapers, evening cocktails and internet access are available. The main resort is recommended for children of all ages. Suites can accommodate up to 2 adults and 2 children, and some interconnecting suites. There is a kids club and a family club programme. Babysitting can be arranged. Free high speed internet access in all suites and in the Royal Beach Club lounge.